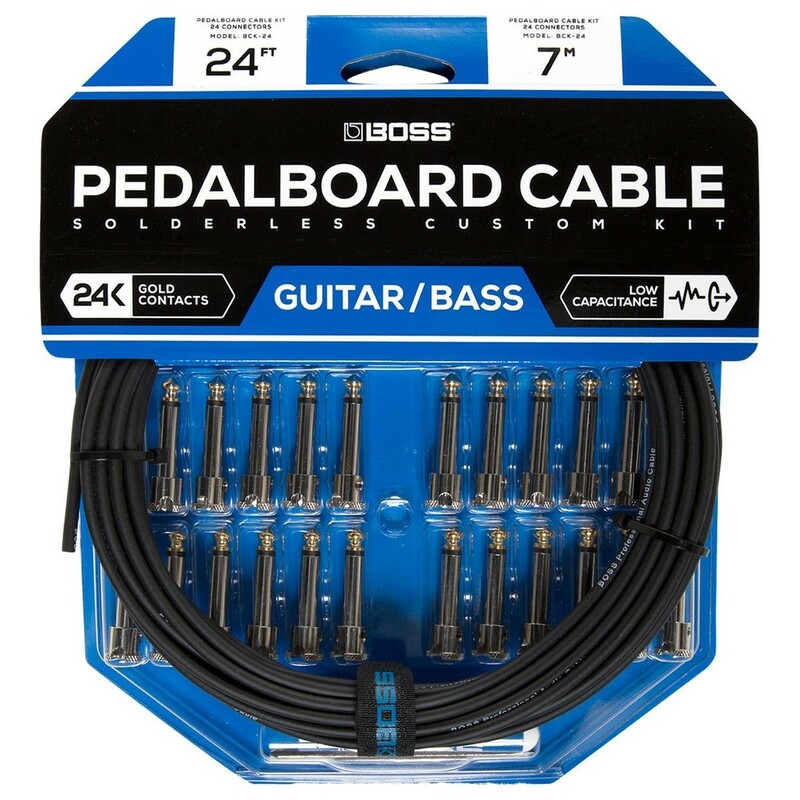 The Boss BCK-24 Solderless Pedalboard Cable Kit is the perfect accessory for over-crowded pedalboards, allowing players to place pedals as close as 1cm apart. Unlike other cable kits, the Boss BCK-24 eliminates the need for cable stripping and soldering, allowing users to simply attach a single ground screw on the connector for instant results. Each connector is crafted using high-quality 24k gold plated components and oxygen-free copper, delivering an excellent sound quality while lasting much longer than other cables. 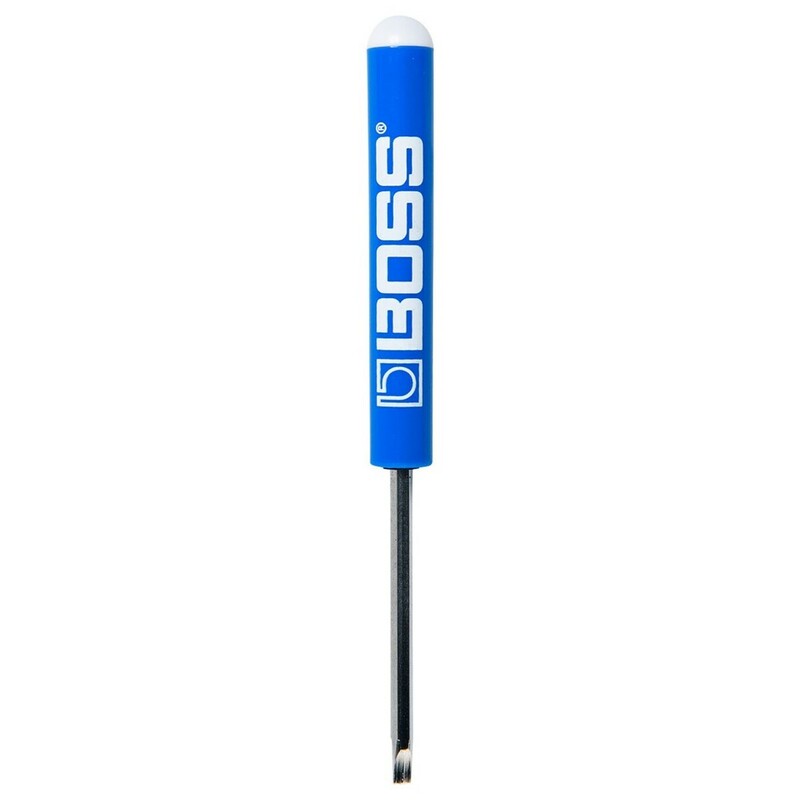 This solderless innovation is available in a variety of lengths including 2ft, 6ft, 12ft and 24ft.